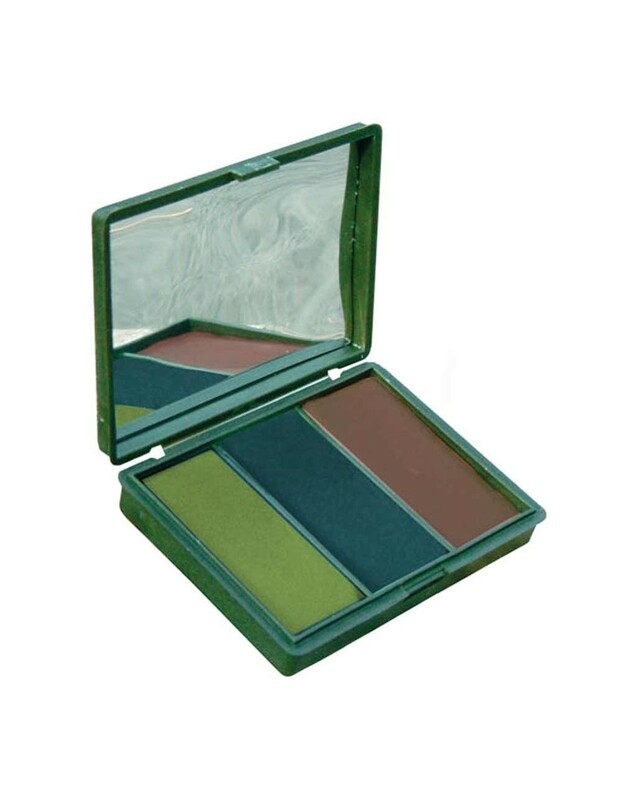 Bushcraft Chameleon Camo is a set of three camouflage colors packed in a housing made of hard ABS plastic with acrylic mirror in the lid. Colors are: Matte Black, Olive Green and Brown. 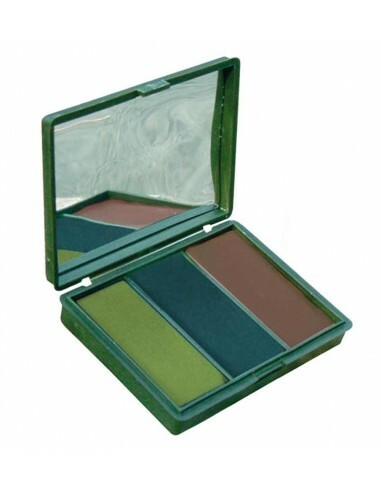 This camouflage color is very easy to apply even without a mirror. Special BCB technology offers us organic, healthy skin color, with high protection from UV sunrays, sun protection factor 68 (SPF 68). IR reflective, moisturizes the skin and protects it from insects. It is very easily removed with facial wipes.